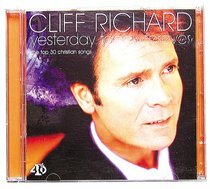 Sir Cliff Richard - singer, actor, businessman - was born in India in 1940 and moved to Britain in 1947. He burst onto the rock'n'roll scene in 1958 with his hit single Move It and was then known as Britain's answer to Elvis Presley. His showbiz career includes starring roles in film and television, and in 1995 he became the first rock star to be knighted.